Registration Desk at M Block. For Registration -Fees: 30 Rs. 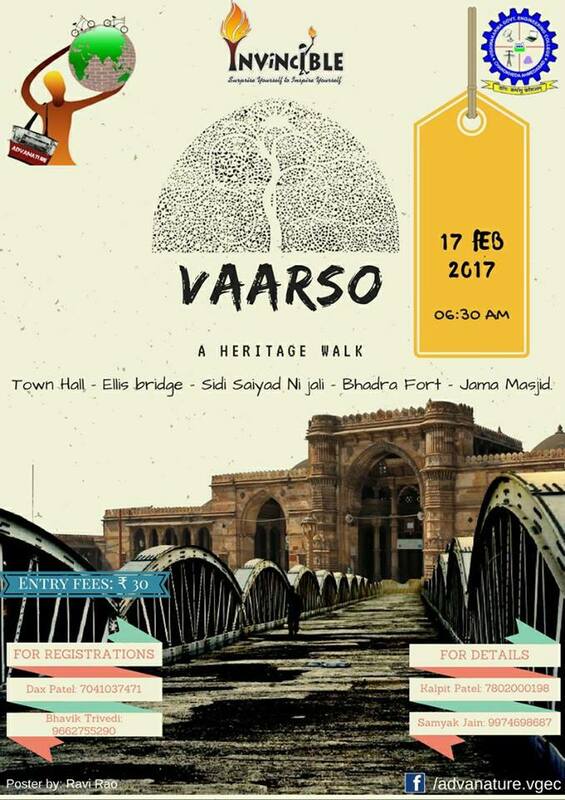 VGECians Advanature Presents… VAARSO-A Heritage Walk. It gives you An Amazing chance to know Heritage of Ahmedabad. Route : Town Hall – Ellis bridge – Sidi Saiyad Ni jali – Bhadra Fort – Jama Mas jid.Refreshments Will Be given.